‘Another example in a long list of Fianna Fáil saying one thing and doing another. Fianna Fail are denying 65 year olds access to their State Pension at retirement. The claim has been made by Sinn Fein spokesman on Social Protection John Brady. “Fianna Fáil has raised concerns on numerous occasions at the appalling treatment of 65 year olds who are forced to retire at 65 and are left with no option than to sign onto a Jobseekers payment, unable to access their State Pension. “Sinn Féin amended the Fianna Fáil Pension Motion to include an acknowledgement of the fact that there are more 65 year olds on Jobseekers payments than any other age category in the State and called on the Government to restore the State Pension Transition until such time as mandatory retirement is abolished. “This is an issue that Fianna Fáil has raised on the floor of the Dáil yet, when it came to addressing the issue, they chose to turn their backs on these people. “The State Pension Transition was abolished by Fine Gael and Labour in 2014. It was paid to people who were contractually obliged to retire at 65 but were unable to access their pension until they reached 66. “Sinn Féin’s Alternative Budget contained proposals to restore the pre-September 2012 pension bands and rates at a cost of €70 million and to restore the State PensionTransition at a cost of €84 million. It was possible for Fianna Fáil to do the same but they chose not to. 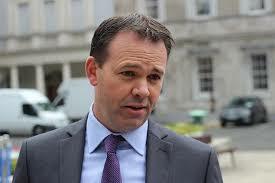 “This is yet another example in a long list of Fianna Fáil saying one thing and doing another. They are masters at it.